The „De Waag society“ is a Dutch project institute based in Amsterdam whose mission is nothing less than creating the first ethical smartphone: „FairPhone“. Its main developers Bas van Abel und Miquel Ballester Salva are convinced that an ethically produced smartphone will inspire the industry and help to end inacceptable conditions for workers around the world. After waves of suicides in a Foxconn iPhone factory in Taiwan or reported cases of child labour in one of Samsung's China factories (sign petition here!) – it should be clear that smartphone production is a sensitive and at times dangerous issue and de Waag's mission almost overdue. In order to realise their ambitious plan, van Abel and Salva aim to build up cooperations with Congolese mine owners to better mine worker's conditions in the area. Gold, tin, copper and cobalt are the most essential metals for producing a smartphone and lots of the resources are received from the Democratic Republic of Congo. At the moment, about a third of the mine workers in the Congo are young adults and children, as reported by „makeITfair, a development organisation on the ground. Also, many mines are currently controled by warlords and soil, air and water in the region highly toxic. De Waag's mission is to make working conditions in the Congo less dangerous. Still, producing a 100% fair phone is not possible - for now. But van Abel's and Salva's mission is also to make companies and their production processes more transparent. The FairPhone will be finally developed untill june 2013 and will cost about 250-300 Euro. 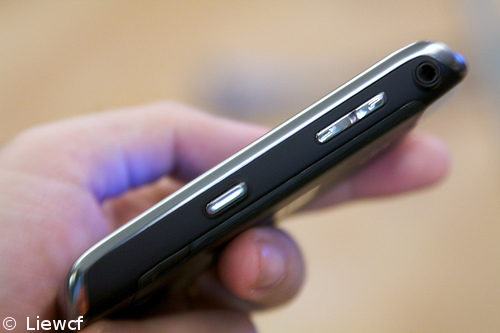 Potential customers can pre-finance their phones though crowdfunding. In about one year's time, 10,000 phones will be produced by an Asian factory – needless to say: under strict security surveillance. Untill its release, you can still help making smartphone use more ecologic: with new solar devices to charge your it. Just after Hurricane Sandy cut off electricity in hundreds of American households, the necessity of „green devices“ such as Eton – a phone charger that gets power from a hand crank or solar panel chargers should be proven. Other than that, recharging your phone or any other electronic device by just carrying a bag with intergrated solar panels, seems to be the easiest way to both save power and be more flexible. 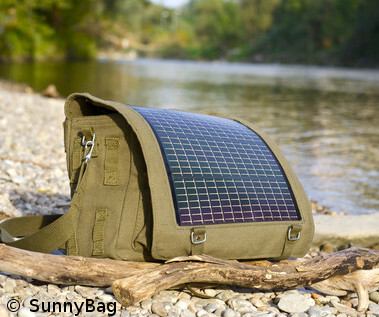 The SunnyBag has just won the Fast Forward Award (Austria) and the Clean Tech Media Award (Germany) for sustainable ecofriendly technological inventions.